- Concept development and design reports in conjunction with the complete professional team. - Research into the latest mortuary equipment and designs. - Detailed design and specification documentation. - Construction supervision and close-out. - Mechanical services consisted of heating ventilation and air conditioning systems inclusive of energy efficiency considerations, refrigeration, wet services including building drainage pump systems, disabled lift. Planning for a new forensic mortuary started in 2005 after it became apparent that the existing facility, constructed in 1971, has reached the end of its life cycle and could not cope with the increased demand for this much needed service anymore. 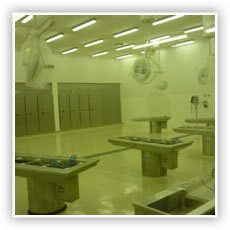 The completed project consisted of three autopsy areas with twenty three ventilated down-draft autopsy tables as well as a number of dissection tables. Furthermore, cooling and freezing facilities were provided for two hundred and fifty five bodies (including obese bodies) making this facility the most modern and only one of its kind in South Africa. A modern two story office block, linked to the autopsy area, was also constructed to accommodate administrative staff and forensic pathologists. Client: Cherry Moss Trade and Invest 102 (Pty.) Ltd.
A four star, 70 bed hotel were constructed in Clarens for Cherry Moss Trade and Invest 102 (Pty.) Ltd. to be managed by the Protea Hotel Group. Dihlase Consulting Engineers (Pty.) Ltd. was appointed as the consulting mechanical engineers for the project. The project had a very tight budget that had to be met and all services for the hotel had to be designed accordingly. Also, the three plots on which the hotel are situated provided many challenges since space was at a premium and all services had to be fitted and planned together with the other disciplines in the professional team based on these space restrictions. The end result is a beautiful facility that has been in operation from August 2008 and has gained much popularity and acclaim. - Mechanical services consisted of heating ventilation and air conditioning systems,gas fire protections systems for the law library and archives as well as a passenger lift and pumped drainage system. 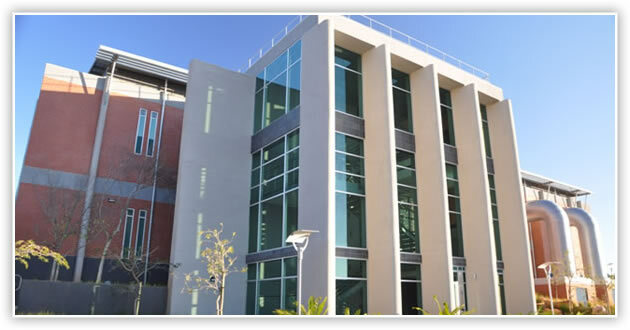 This project included for additions and alterations to the existing Supreme Court of Appeal in Bloemfontein which is the highest court in the country. All additions had to conform to the existing building as the building is a national monument. 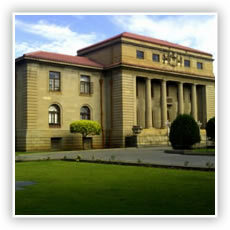 Due to the nature of the existing building being solid sand stone and marble with intricate patterns, wood paneling etc. special attention was given to the planning if the additional section. Also, due to the slow building process with these materials the construction period was five years. As far as mechanical services are concerned these services also had to adapt to existing services in the main building and had to be planned to be as visually unobtrusive as possible. The HVAC system consist of a chilled water system with air-cooled chillers, ducted air handling units that serve the courts and a ducted central fresh air system. All office areas were furnished with floor-standing fan coil units with electrical heating. The gas fire protection system consisted of an inert gas fire system protecting the valuable law library as well as court archives. - Site inspections and reports. - Mechanical services consisted of intelligent lift and escalator installations, heating ventilation and air conditioning systems, fire detection, electrical reticulation and lighting, fire protection, wet services, generator installation, UPS installation. Durban railway station is the central railway station in the city of Durban, South Africa, located between Umgeni Road and Masabalala Yengwa Avenue just to the north of the central business district. It is the terminus of Shosholoza Meyl long-distance services from Johannesburg and Cape Town, and the hub of a network of Metrorail commuter rail services that stretch as far as KwaDukuza (Stanger) to the north, Kelso to the south, and Cato Ridge inland. 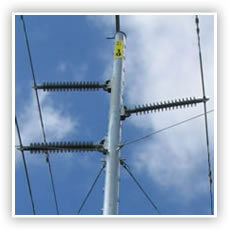 - Site inspections and reports on current plant problems and solutions thereof. - Mechanical services consisted of specialist close-control air conditioning systems, chiller modification and upgrade, FM200 fire protection, BMS installation, access flooring installation. MTN South Africa’s aim was to perfect its network capabilities in order to avoid network congestion and absorb additional demands during the World Cup. The cellular hub in Berea, Durban was upgraded in preparation for increase in demand prior to the World Cup, as part of its core upgrade. 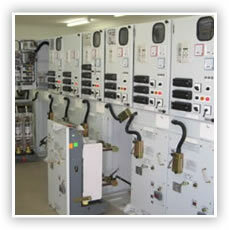 Problems with the non-performance of the current plant was also identified and rectified in the process. - Research into the latest green design considerations for stadium design. 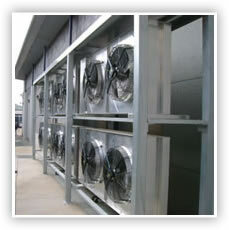 - Mechanical services consisted of heating ventilation and air conditioning systems inclusive of energy efficiency considerations, intelligent irrigation system, fire detection, high-mast lighting, identification of services, wet services including heat --pump systems, elevator installation and surrounding street and landscape lighting. 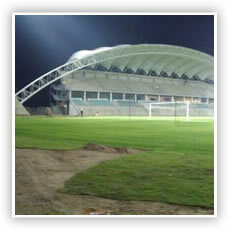 Sugar Ray Xulu Stadium is a multi-purpose stadium in Clermont, a township west of Durban, South Africa. It is currently used mostly for football matches and was substantially refurbished to be utilized as a training field for teams participating in the 2010 FIFA World Cup after being renovated in 2010 and brought up to FIFA standards. The upgrade to the stadium employed local labour, creating job opportunities, and also upgraded Clermont’s surrounds and infrastructure, ultimately benefiting the community beyond the world cup. The stadium's small capacity was expanded from 1,700 to 6,500 as a lasting legacy of the World Cup, and was built according to FIFA standards truly making it a world-class sports venue. - Costing of the project as part of turnkey tender. - Coordination of the design team, surveyor, environmental consultant and contractor. - Detail design, documentation and supervision over construction. 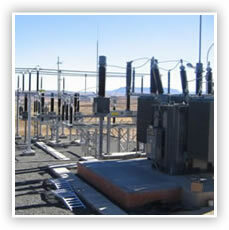 - Final inspections, testing and commissioning of the substations. The upgrade of the 33 kV Litsoeneng switching station to a 132/33 kV Substation including 132 kV busbar, 2 x 20 MVA 132/33 kV transformer bays, one 132 kV incomer and extension of the 33 kV busbar. The upgrade of Mohaleshoek Substation from 2 x 2 MVA to 2 x 10 MVA 33/11 kV Substation and replace the existing 11 kV switchboard. 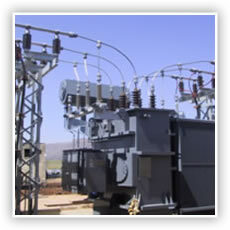 Provision of a switching station with two incomers, three feeders and 1,3 km of 11 kV cable. New 132 kV feeder bay at Ramarathole Substation. - Compilation of project proposal, various presentations thereof to LEC Management and final acceptance as project blueprint. - Network analysis and investigations to achieve the optimum distribution system for the city. 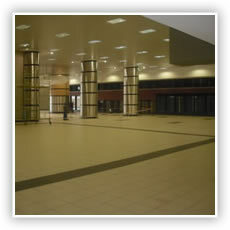 - Coordination of the various design teams, surveyors, environmental consultants and contractors. - Detail planning, design, documentation, tender processes and supervision over construction, relating to the main components of the project. 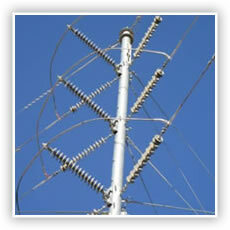 - Final inspections, testing and commissioning of the various project components. The project for the upgrading and strengthening of LEC 33 kV distribution system in and around the capital city of Maseru, included increasing the capacity of Thetsane 33/11 kV Substation to 2 x 20 MVA, the provision of new 33 kV and 11 kV switchgear, the provision of the new 2 x 10 MVA Tikoe 33/11 kV Substation, the provision of three new 33 kV overhead wood pole lines between substations, the provision and retrofit of optic fibre communication links (both OPGW and ADSS) and the provision of new and the upgrading of existing 33 kV overhead line protection. 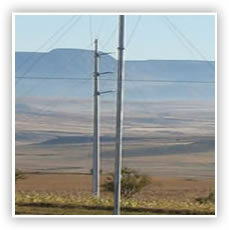 The total project was funded by the Government of Lesotho and included eight different contracts over a 2 ½ year period. - Route selection, detail, design, documentation and supervision over construction. 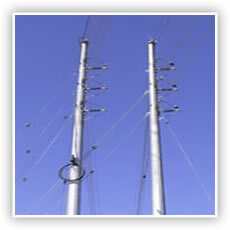 - Final inspections, testing and commissioning of the line. Construction of 45 km 132 kV mono-pole overhead line from Ramarathole Substation to Litsoeneng Substation. - Planning, tender documentation and process, evaluation, project management and construction monitoring and final acceptance. - 132 kV six bay GIS switchboard consisting of a double busbar, bus-coupler, two overhead line feeders and three transformer feeders. 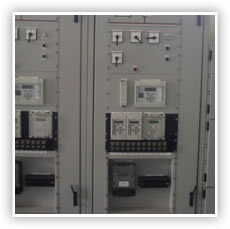 - 33 kV thirteen bay GIS switchboard consisting of a single busbar, three transformer incomers, three capacitor bank feeders, two generator incomers and five outgoing feeders. 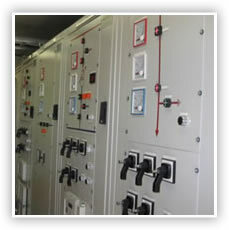 - 33 kV sixteen bay GIS switchboard consisting of a double busbar, five incomers, eight feeders, one bus-coupler and two bus-sections. - Compilation of project proposal, various presentations thereof to Centlec and final acceptance as project blueprint. - Network analysis and investigations to achieve the optimum system for the Stadium. - Detail planning, design, documentation, tender processes and supervision over construction. 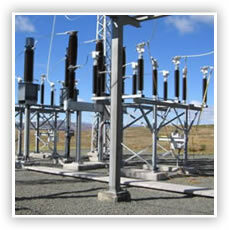 - Final inspections, testing and commissioning of the standby system. 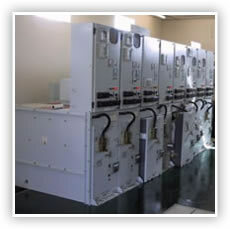 - Provision of two mobile standby generators for the Free State Stadium. 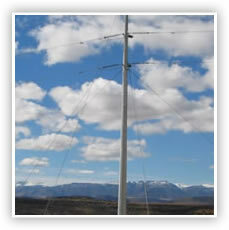 - Inspection, testing and commissioning of the installation. Upgrading of the electrical and mechanical building installations on floors 3, 4, 5 and 6 of Absa House on Market Street, Johannesburg. The installations covered were electrical, interior lighting, air-conditioning, fire detection and PA system. The project was for and funded by the Department of Public Transport and Roads and Works. 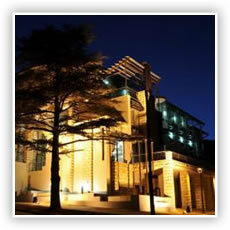 The Test Switch and Data Centre project for MTN are located at MTN’s head office in Johannesburg. The project consist of two levels and Energy centre incorporating a Tier 3 Test Switch (1MW of cooling), and a Tier 4 Data Centre (1.1MW + 1.1MW cooling). The building is interfaced with a Tri-Generation plant which reduces the total carbon emissions from site. A section of this building will be used as data centre hosting where about 60% of the building’s Data Space is currently utilized for the client’s operations. The building partly comprises of offices which occupies 15% of the total building floor space. The building has a state of the art BMS, CITECT monitoring and fire protection/detection system to protect the client’s Data Centre assets. The project is ongoing with potential extention of a 2nd Data Centre floor. - Repair of the vacuum piping in the laboratory. - Repair of the air-compressor and associated piping in the plant room.